The Chinese trailer for “Rogue One: A Star Wars Story” has dropped, giving fans a glimpse at new footage featuring Donnie Yen and and Jiang Wen. The trailer seems to explain the plot of the highly-anticipated film well, starting with rebel Jyn (Felicity Jones) needing to assemble a team of spies and assassins to steal the plans for the Death Star. All because her father Galen Erso, played Mads Mikkelsen, sent the encoded Imperial Message that revealed the weapon’s existence years prior. The upcoming film, directed by Gareth Edwards (“Godzilla”) takes place between the prequel and original trilogies. 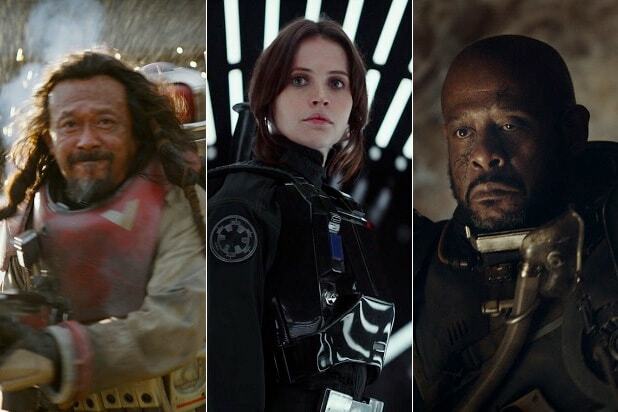 Other characters include Rebel intel officer Cassian Andor (Diego Luna) and Clone War veteran Saw Gerrera (Forest Whitaker). “Star Wars: The Force Awakens,” which made more than $2 billion worldwide, was a smash hit pretty much everywhere except China. That was despite a favorable release date and a massive marketing campaign that included placing Stormtroopers on the Great Wall and a custom song created by Chinese pop star Lu Han. “Force Awakens” grossed a solid but unspectacular $124 million in China, well short of the records the film set in dozens of other territories. To compare, “Captain America: Civil War,” which had a little more than half the global box office gross of “Force Awakens,” reeled in $190 million in China. “Rogue One” hits theaters in the United States on Dec. 16.